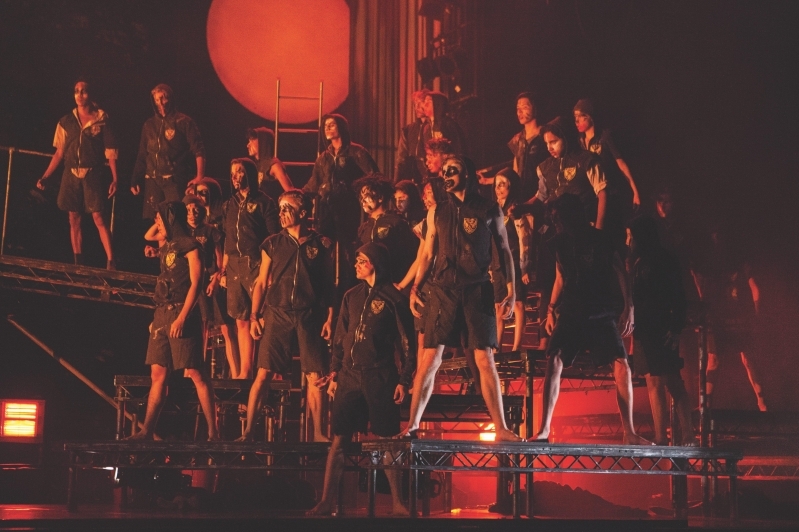 Eighteen months on from the international premiere of Lord of the Flies in Australia, Arts Centre Melbourne chat to some of the participants about its lasting impact. It’s April 2017, and the State Theatre is crowded with theatre goers – a typical scene within the plush red walls that are home to the likes of The Australian Ballet, Opera Australia and other world-leading performers. But this evening, the anticipatory buzz is of a different sort. Behind the curtain waits an Australian premiere like no other; tonight, 23 boys and young men from across Victoria, some of whom have had little or no direct association with live performance before, make their State Theatre debut in New Adventures’ critically acclaimed production of Lord of the Flies. 18 months on, and the ripple effects of this unique program continue. The production, which first debuted in the UK in 2011 before being brought to Australia by Arts Centre Melbourne, is an adaptation of William Golding’s classic novel transformed into a chilling, beautiful and entertaining work by New Adventures. It was restaged by Etta Murfitt (Associate Artistic Director) and Alan Vincent (Resident Director). 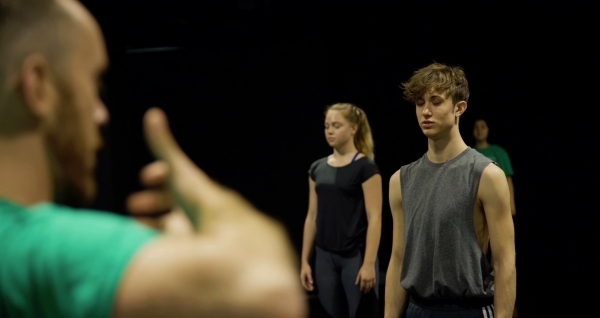 Its approach is unique: a cast of professional dancers from the UK and Australia dancing alongside remarkable young amateur talent from across Victoria, sourced through a large-scale and state-wide grassroots community outreach program. 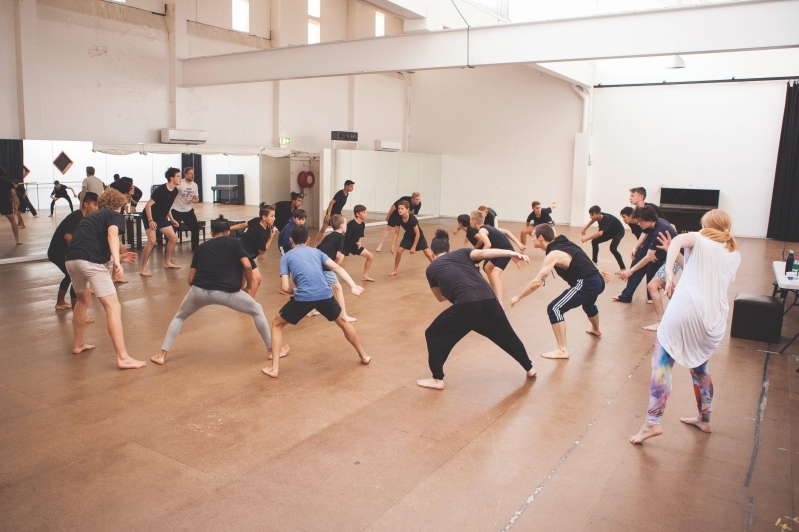 Dance workshops targeted to boys and young men were delivered in partnership with community groups, social service providers, schools and arts and cultural centres in inner and outer metropolitan Melbourne and extending into regional Victoria. 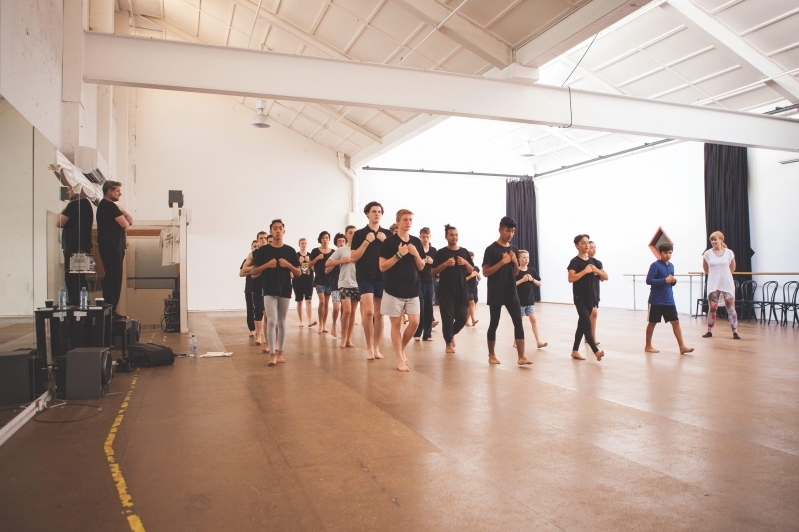 Through 26 community partners, Arts Centre Melbourne delivered 50 dance workshops to over 450 participants across Victoria – as far and wide as Geelong, Mildura, Swan Hill, Robinvale, Shepparton and the Latrobe Valley. 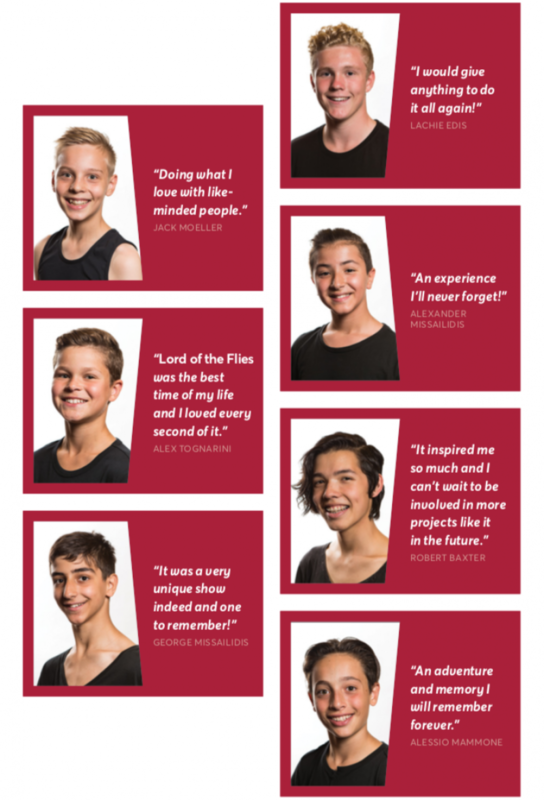 The outreach program culminated in 107 boys and young men auditioning to be part of the production, with 23 selected – including five from regional Victoria – to form the Young Ensemble for the five-show season in the State Theatre. “The workshop model served as a unifying opportunity from day one; the boys and their families became an integral part of the team and the experience has had a significant impact on the skills, confidence and potential future opportunities for many of them,” says David. 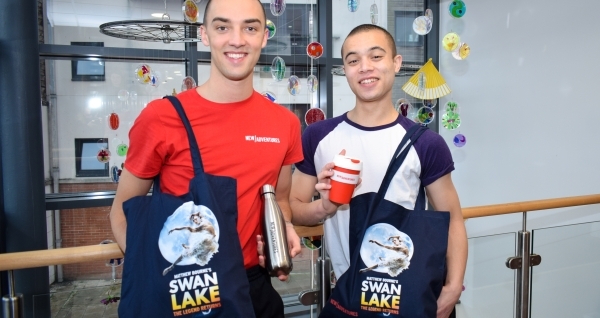 Brothers George (then 13) and Alexander (then 11) Missailidis both had prior dance experience entering the auditions. However the production was unlike anything they expected and reaffirmed their love for the performing arts. Philanthropic support from more than 20 individuals, trusts and foundations was essential to the production going ahead. It’s also helped establish ongoing community programs to enable more boys and young men to experience dance, thanks to the Lord of the Flies Legacy Fund, which provides funding to participating community organisations for continued dance workshops, training, equipment and activities in their locality. In a period of life when personal identity, interests and self-confidence are so easily influenced and shaped, what’s clear is that programs such as Lord of the Flies have the ability to positively inform the development of boys and young men.